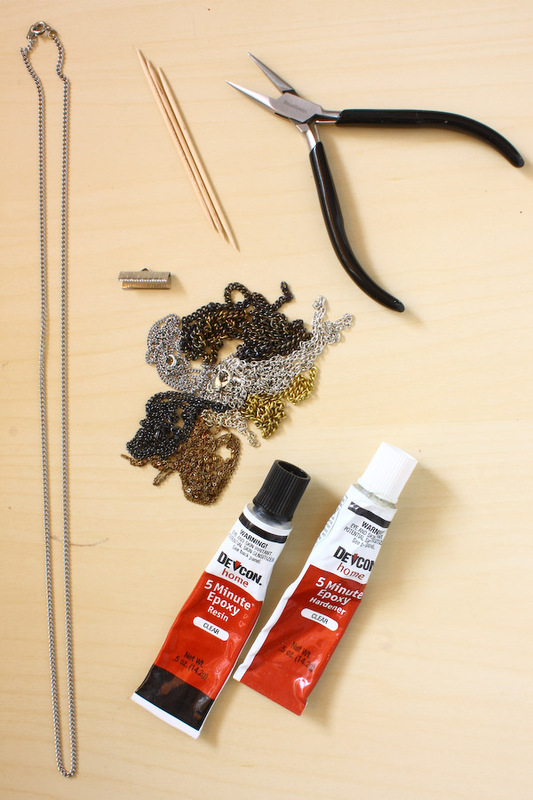 Use up all those leftover lengths of chain with this simple stash-busting chain fringe necklace project! 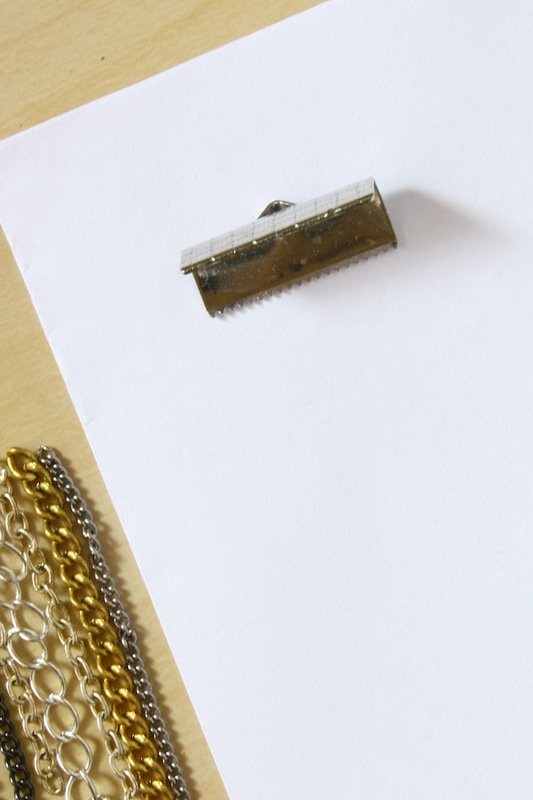 I don’t know about you, but I always seem to end up with leftover supplies from my craft projects, including random ends of chain, as well as having old broken necklaces and tarnished chains that I intend on doing something with. 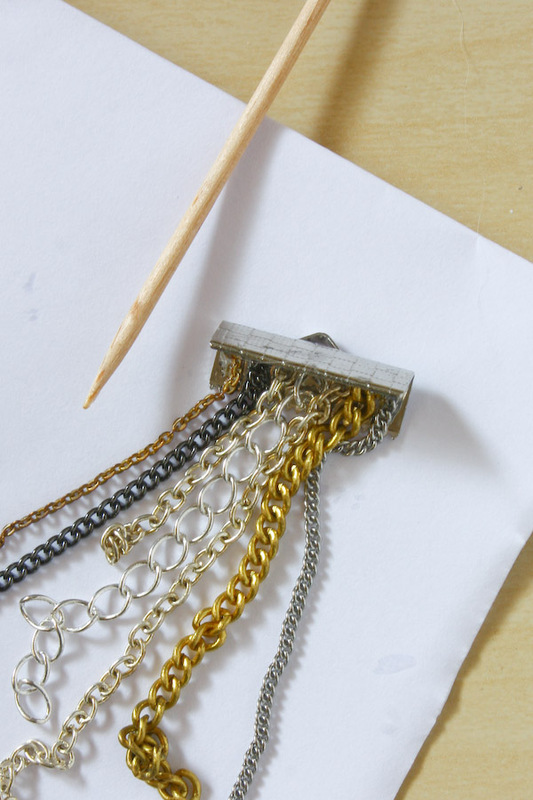 This easy project will turn those leftover pieces of chain into a stylish necklace! 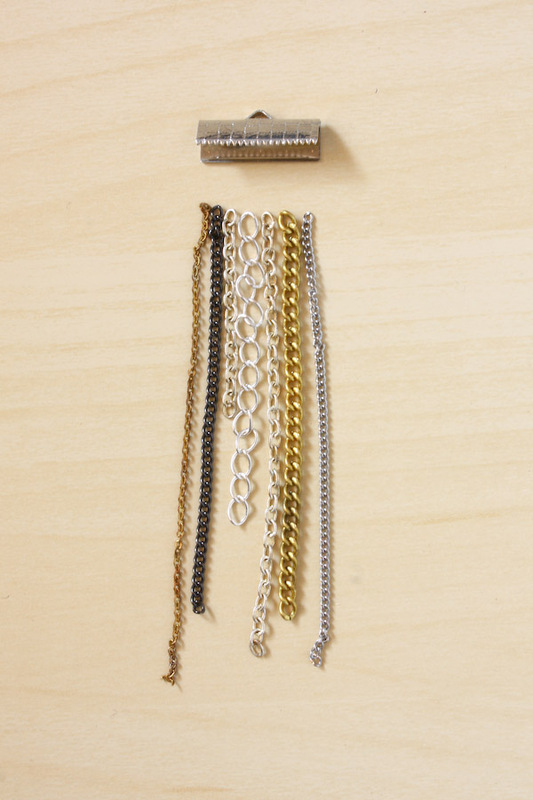 1.Cut a selection of chains, either into equal lengths or go with random lengths like me! Make sure you have enough to fill up the whole width of the ribbon end without them overlapping. I’m using a large 19mm ribbon ends, but the also come in 10mm and 15mm too. 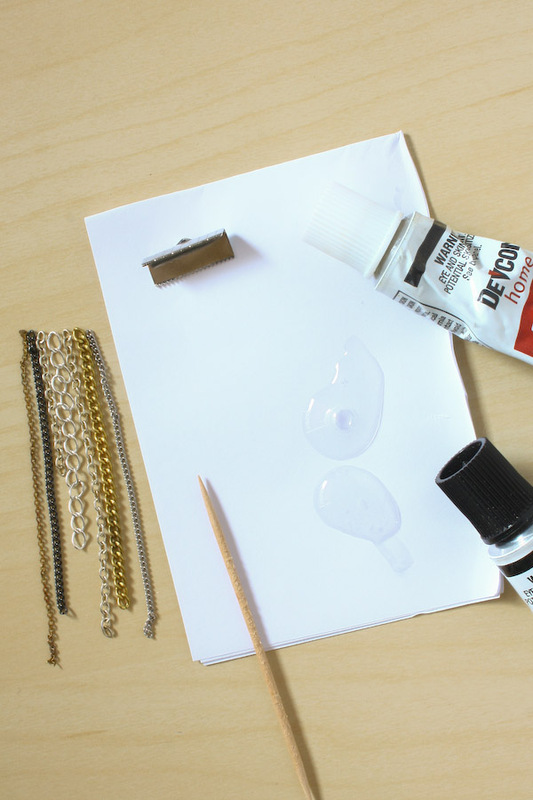 2.Before gluing, set everything up ready; as soon as you mix up the glue you only have 5 minutes before it sets! 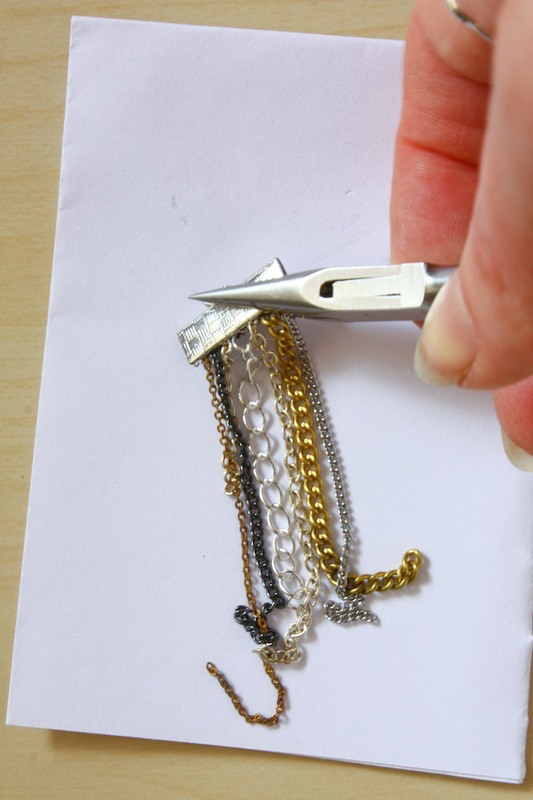 Place the ribbon end on some scrap paper to protect your work surface, get your chains laid out ready and squeeze out a pea size blob from each of the tubes. 3.Use a cocktail stick of other implement to mix the glue together – it should go a bit cloudy but don’t worry this is just a sign the chemical reaction that sets the glue is starting to happen. Using the cocktail stick, apply the mixed glue to the inside of the ribbon ends, on both top and bottom. 4.Place the chains inside the ribbon end, using the cocktail stick to help you. Once they are all in, make sure they are lying straight. 5.Use your fingers to gently push the two sides of the ribbon ends together before the 5 minutes is up and the glue sets. 6. 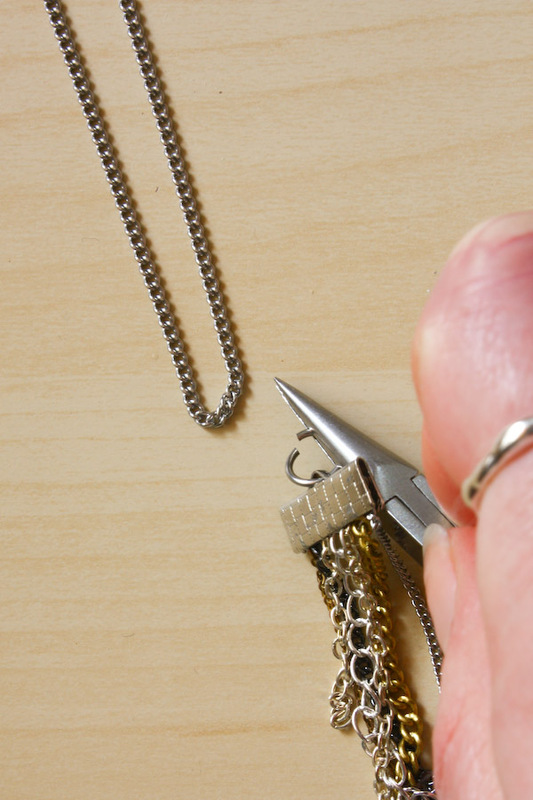 Use the chain nose pliers to make sure the ribbon ends is clasped firmly on the chains. Leave aside for a few minutes to make sure the glue is totally dry. 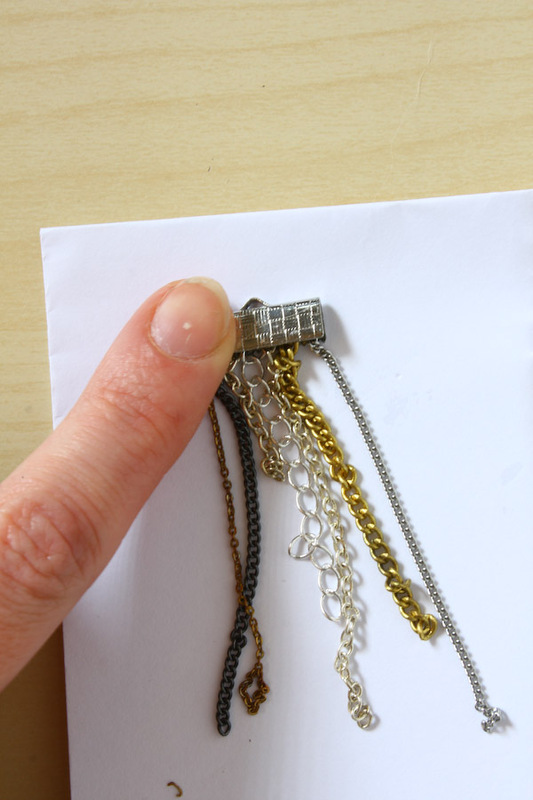 7.Use the jump ring to attach a necklace chain to the loop on the ribbon end to complete your new necklace! 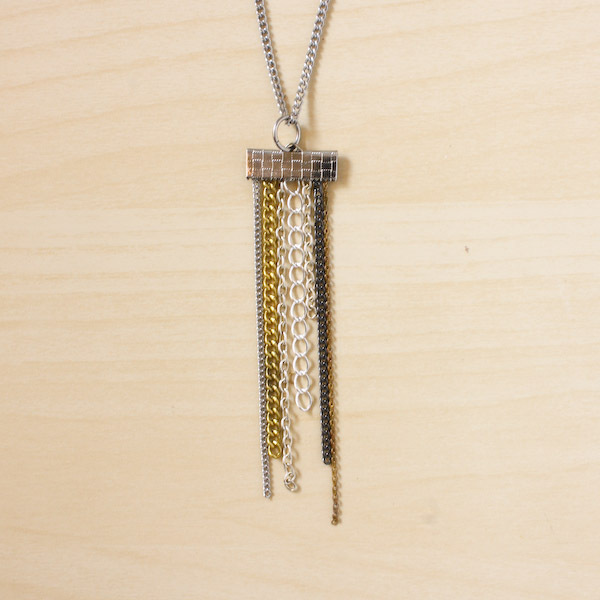 If you have a go at making your own chain fringe necklace, or have any questions feel free to comment below or message me on Twitter, Instagram or Facebook! Happy Making!